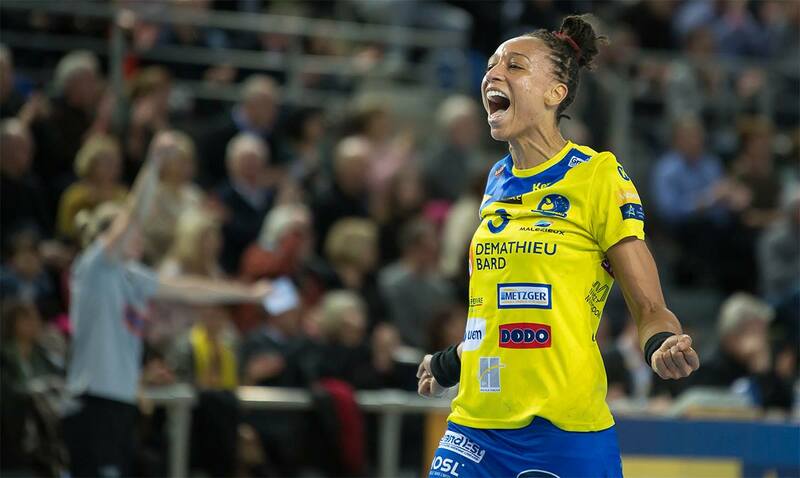 Metz Handball have qualified for their first ever DELO Women’s EHF Final 4 after eliminating CSM Bucuresti. Les Dragonnes are the first French team to ever advance to the semifinals of the continental tournament. CSM Bucuresti finished the season earlier than expected and will miss the final stage of the competition for the first time since their first appearance in the 2016 season. After the 5-goal advantage obtained in Bucharest on the first leg of the quarter finals (26-31), Metz played the home match without the pressure of having to chase after CSM Bucuresti on home soil. 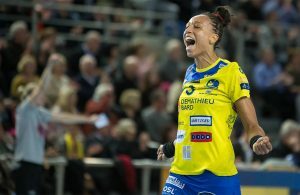 The French side secured their qualification for the DELO Women’s EHF Final 4 after a narrow triumph over the Romanians by 23-22 (global 54-48). The game was very even and until the 13th minute, CSM Bucuresti had the lead (5-7), but goals by Meline Nocandy and Grace Zaadi tied the encounter. On the 21st minute, Beatrice Edwige, who played her last Champions League match at home as a Metz player, scored for 8-7. From then on, the squad commanded by Dragan Djukic would trail until the very end of the match. The first half finished 11-9. The Romanian side got as close as -1 on many ocasions on the second half (15-14, 17-16, 18-17, 22-21), but they were unable to turn the score around. Besides a good performance from Ivana Kapitanovic under the posts (finished with 35% save rate), Metz took advantage of the many misses from CSM players who fought, but couldn’t get close to the qualification. Nocandy was the top scorer of the match with 6 goals and Andrea Lekic was the highest scorer for CSM Bucuresti. Without the injured Cristina Neagu, Amanda Kurtovic and Dragana Cvijic, the Romanian team finishes a season earlier than expected, after having had to bear with several other minor injuries and a couple of coaching staff changes as well. 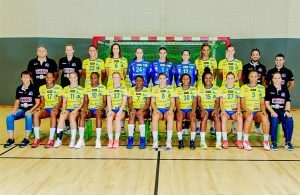 This year’s DELO Women’s EHF Final 4 will be the first to witness the appearance of a French team; and will also be the first edition that doesn’t welcome Lekic, Majda Mehmedovic and Jovanka Radicevic, who were the three players from CSM who could’ve competed in Budapest for the sixth time in the same amount of tournaments. Katarina Bulatovic, from Buducnost, was the other player who would’ve achieved the same tally. Metz Handball with +5 from Bucharest! Nora Mork next two years at CSM Bucuresti!